Sometimes, life may bring sweet surprises your way such as finding yourself as the heir of a nice beautiful house. It is a good thing to inherit a house. The question of what to do with or whether or not to sell it depends on you. You may wish to keep it, but at times circumstances may force you to want to sell it. Selling an inherited house might be difficult but with some helpful information and tips, you can still do it smoothly. The process of selling an inherited house may not be as simple as selling just any other house that you acquired by your own means. Remember this is a form of a gift, which you received from somebody close to you. Thus, when you decide to put it up for sale, you must first consider the following factors. • How to deal with the emotions that will emerge at the thought that you are about to sell a gift from a loved one. • The financial costs associated with making adjustments and renovations to attract potential buyers. Dealing with inherited property can be a very tough emotional challenge. It could be a family house that was passed down from your parents or your siblings or even best friends. When you inherit a house, you feel like you are charged with the responsibility of taking good care of it and probably passing it down to another loved one and continuing the cycle. Thus, when it gets to the point where you have to sell it, may be very difficult and stressful letting go of your inheritance. The process may involve removing the stuff of your loved ones such as art pieces and other special collections. You may feel like you are depersonalizing the entire space. At some point, you may even feel as if you disown your loved ones by disposing of their property. It will be the most difficult decision that you will ever have to make. If you let your emotions to be carried away, chances of you making straight business decisions are minimal. 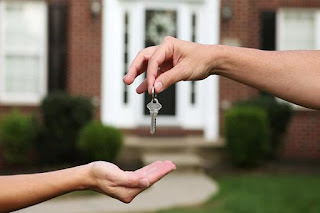 Thus, when dealing with inherited property, it is only wise that you let people who have experience in the buying and selling of probate homes to assist you through the process. Certain issues may not be apparent but all the same, they will come up the moment you put the inherited house on sale. 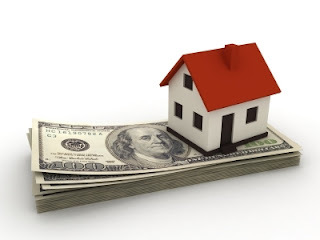 Some of such issues include having to deal with expensive liens. You might even disagree with other involved parties such as your siblings about the sale. The previous owners of the property may also show up demanding a share of the property. The bank that financed the mortgage might also claim some arrears in the payment of the property. Unless you get an expert in the field of property sale, things are going to be rough for you. In addition, you will incur some extra costs when making updates to publicize the sale of the property. This involves some touches on the house and necessary repairs as well as the advertising cost. You must also be conversant with the legal aspect of selling a house and the taxation aspects. Generally, the above are some of the issues that you will face in the processing of negotiating and managing the sale of an inherited house. Inherited property is not easy to deal with. You have to set your mind to let go. You must be willing to sell right from the start without looking back. The task is tiring, and thus you need the help of a professional in real estate to take you through the whole process successfully. Speak to a real estate to simplify the process for you and lift the weight off your shoulder.